On Saturdays, following a tradition from my childhood, I have eggs for breakfast. This morning, when I awoke I had a hunger pang for poached eggs. But not just any poached eggs, the poached eggs and bacon from The Malton Hotel in Killarney, Ireland. I stayed at The Malton when I visited Killarney in March of this year, and celebrated St. Patrick’s Day by participating in the parade. 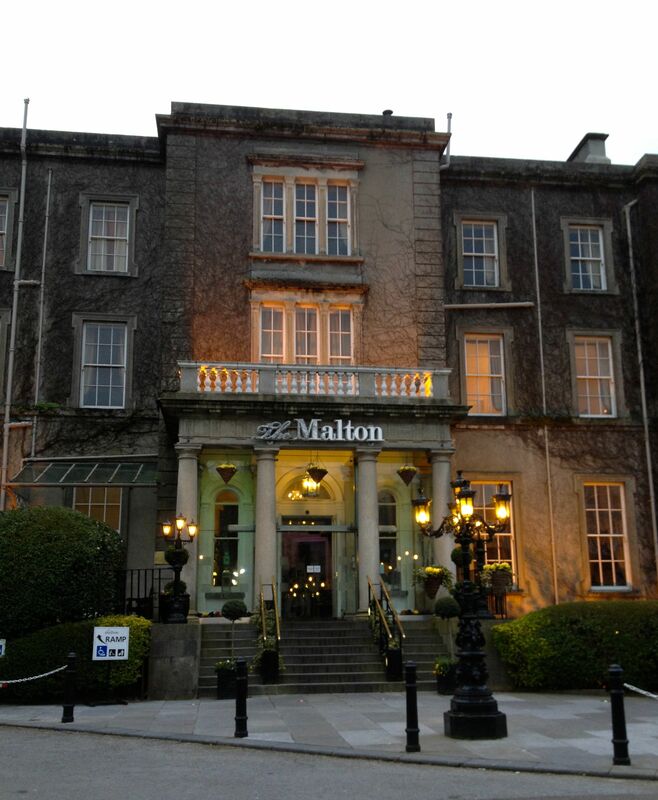 The Malton is a short walk from the Killarney train station and about a five to ten minute walk from the central part of Killarney. It is a perfect place to stay while exploring the area. Entrance to The Malton Hotel in Killarney, Ireland. The dining room of the Malton is beautiful with high ceilings and big windows that look out on the gardens behind the hotel. White linens cover the tables and proper silver is at each place setting. I was fortunate to be seated right by a window and could look out and enjoy the sunshine on a lovely clear day. 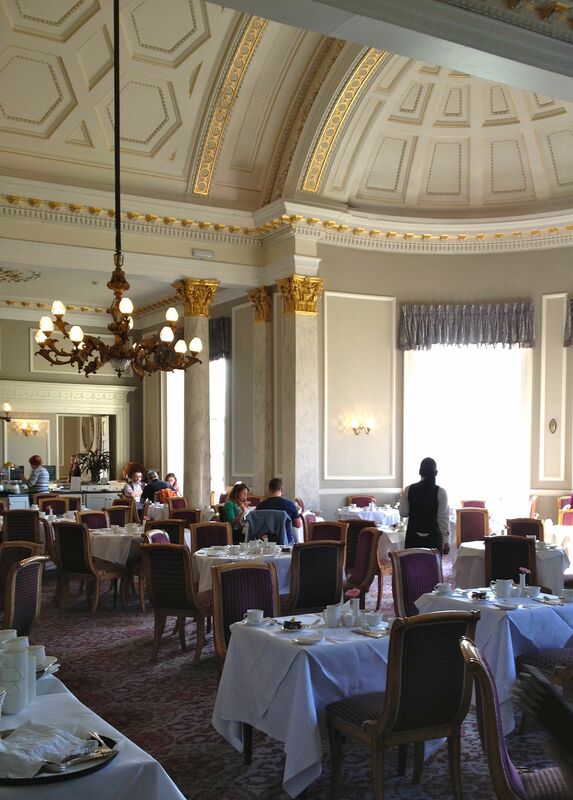 The dining room at The Malton. There is an ample breakfast buffet, but all I remember is the wonderfully amazing poached eggs atop English muffins with perfectly crisp bacon. 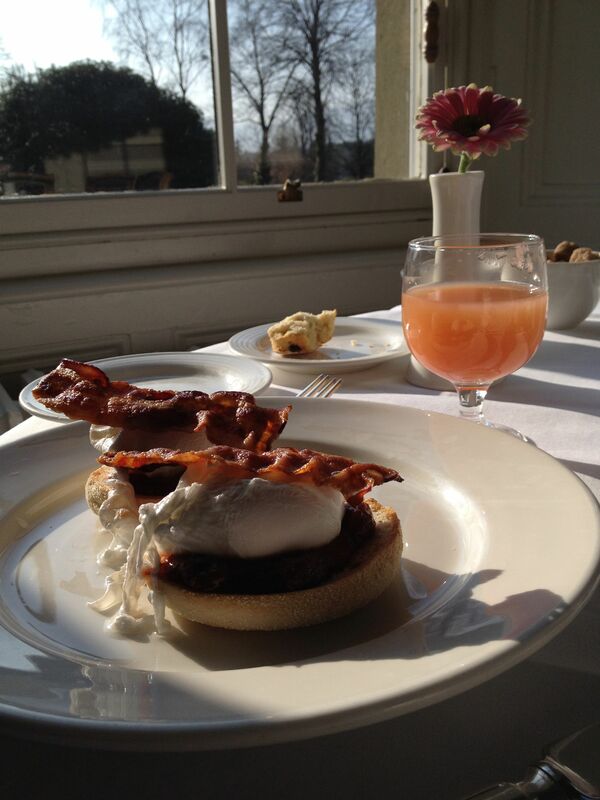 Poached eggs, English muffins, crisp bacon, grapefruit juice and a sunny view. It was just perfection. I do not think I have ever had bacon cooked like the bacon here. Crisp and crunchy without being overdone. And. The. Eggs. They had a beautiful orange-yellow yolk, like nothing we have in the United States. Ahhh. The poached eggs were so wonderful I ordered them two days in a row! Sadly, I only have eggs in my kitchen – no English muffins or bacon on hand – so I could not attempt to recreate the delicious breakfast from The Malton today. It is probably for the best as I am still feeling under the weather due to my persistent cough (and am planning to visit the doctor this afternoon), but I have a smile on my face thinking about the wonderful breakfasts that started my day while visiting Killarney! Another view of the beautiful eggs and bacon. 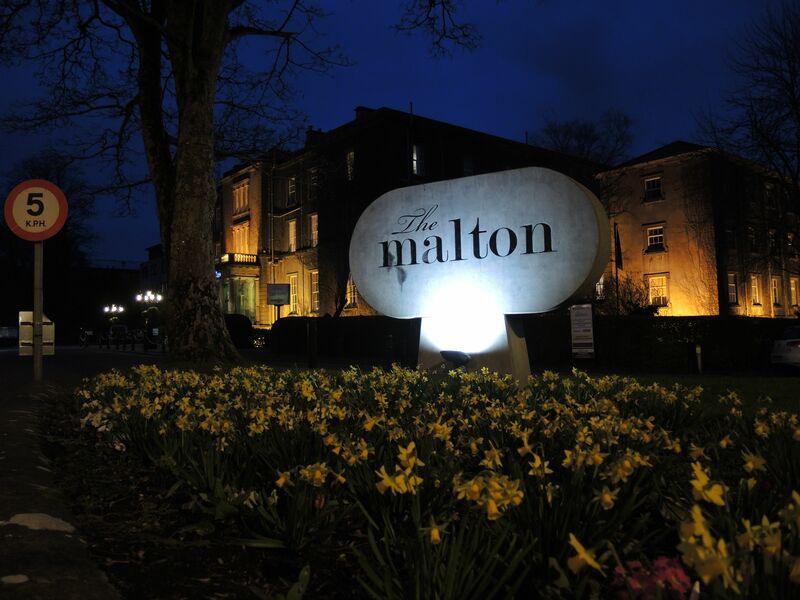 I was a guest of Brendan Vacations, but my opinion and review of The Malton Hotel are my own. This entry was posted in Europe, Ireland, Killarney and tagged Brendan Vacations, Ireland, Killarney, KRinIreland, MyBrendanStory by Kiera Reilly. Bookmark the permalink. I just read your story on Ireland in the AAAEncompass here in Colorado I am hoping to take my family to Ireland in the Spring. I live in the Vail are of Colorado but grew up in Manhattan beach and have a condo on Catalina and Ave. C. My husband and i fly out Tuesday for about 2 week and would enjoy meeting with you and getting some ideas. We will also be back in February. I think you live near the condo. I don’t do Facebook or twitter. My email is browns@vail.net. Please contact me.